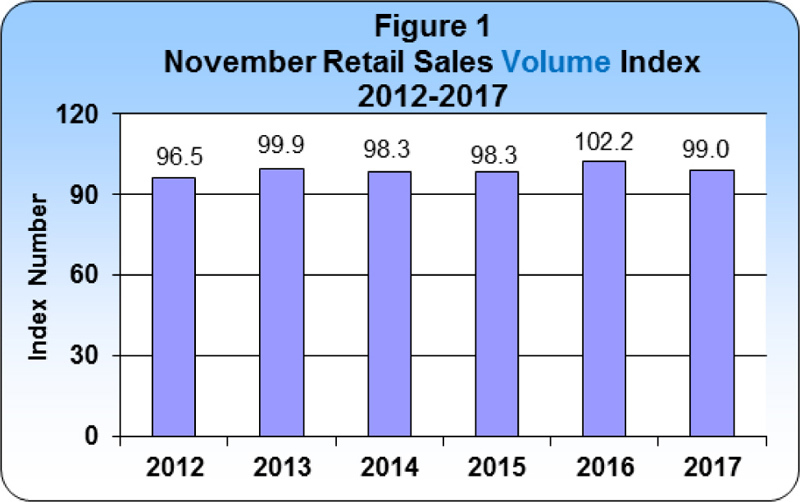 After adjusting for the retail sales rate of inflation – measured at 2.5% in November – the overall volume of retail sales decreased 3.1%, according to the recently released Retail Sales Index. “All retail sectors recorded declines in sales volume with motor vehicle dealers recording the largest decrease of 14.2%. The sales volume of apparel stores also declined significantly by 7.2%,” the report said. “In value terms, retail sales declined 0.7% to an estimated $95.9 million. Returning residents declared overseas purchases valued at $6.4 million, which was 3.2% higher than November 2016. This contributed to a combined local and overseas spending of $102.3 million.